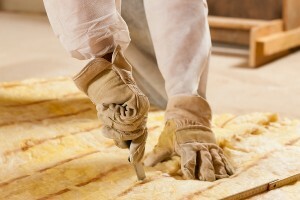 If you’re wondering whether the attic insulation in your home in Jacksonville or another nearby Florida community is adequate to protect your home against energy loss, you may need the assistance of the experts at 31-W Insulation. We have insulation professionals who can determine if you would benefit from adding or replacing insulation in your attic, and we offer numerous options so you can achieve maximum energy efficiency that may save you money on heating and cooling costs. You notice an increase in your monthly utility bill. You are constantly adjusting the thermostat to stay warm in the winter and cool in the summer. Your HVAC unit is working overtime to keep your home at comfortable temperatures. If you recognize these signs in your home, then request a complimentary inspection from a 31-W Insulation expert. You can rest assured you will receive an honest evaluation of your attic insulation, as well as expert advice on which options will work best for you. You can choose from many types of insulation materials, including fiberglass or rock and slag wool batts and polyurethane spray foam. No matter what type of insulation you choose, our team of professionals has the experience and expertise to install it with care and precision. Your complete satisfaction is our goal, and our decades of experience, along with an A+ rating with the Better Business Bureau, is testament to the fact that we will do everything in our power to meet or exceed your expectations. For more information about attic insulation suitable for your home in Jacksonville, FL, and other surrounding areas, contact 31-W Insulation today.